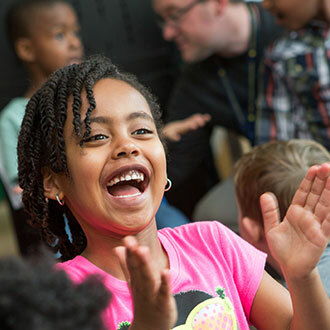 How do you create a classroom library that is both organized and enticing to young readers? 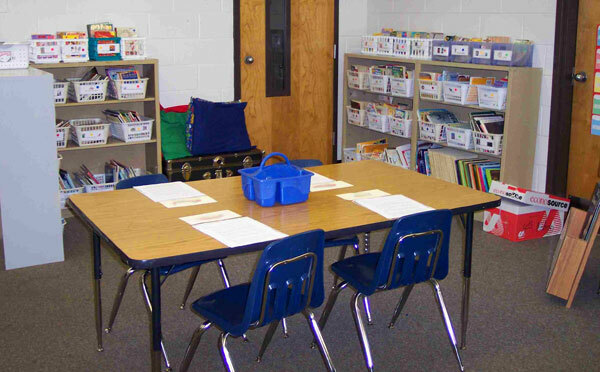 Here a teacher illustrates how she set up a classroom library. 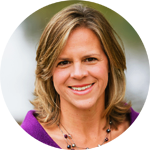 She provides tips on acquiring books and materials, organizing the shelves, creating labels, and making it cozy. 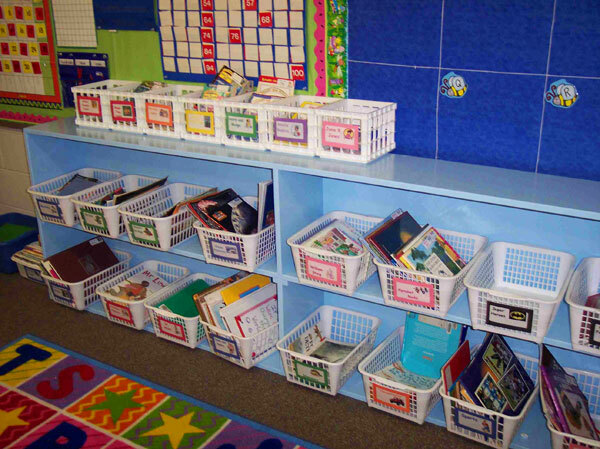 Teachers, please reorganize those bins! Here's how I organized my classroom library. There is no right or wrong way to organize your library and these ideas are simply how I choose to organize mine. Just below is a picture of my second grade library in progress. It is amazing how it transforms! I have combined my library and my meeting area. You can see the bright cheery carpet, lamp and tons and tons of books! To make it cozy I sometimes add posters from the mini-lessons we have had in class, a trunk covered in pillows, a bright rug, a lamp, and lots and lots of inviting books that are clearly organized. I highly suggest labeling the books as coming from your library. I use a stamp, but you can also just write your name on the cover of every book. You might also want to write it on the side of the book across the pages. Then parents will be able to easily spot the book as one that needs to be returned to the classroom. One of the most difficult things to figure out is how to sort all of your books. Many people sort by genres, topics, themes, AR (Accelerated Reader) levels, guided reading levels, and so on. In my classroom I have chosen to sort by books by topic and author. I have done this for several reasons. Reason one: it was easier. Leveling all my books would take forever, and I do not want to spend all of my time on it. A second reason is that I do not want children picking out by books by levels. I want the students making the decision if the book is just right. When students walk into a book store there will not be a large sign that states, "Guided Reading Level O books here." 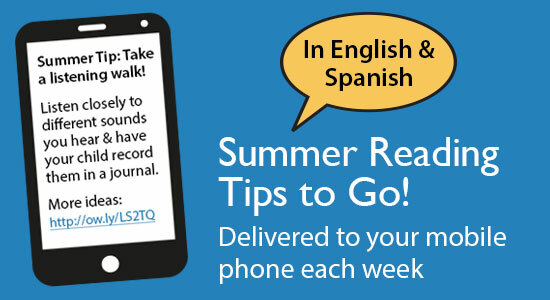 Students have to be prepared to make good reading choices and know how to browse. Restricting sections of the library by leveling hinders this. I know some people will disagree with me here, but I am not also a big fan of AR so I do not choose to sort by AR levels. All these beliefs led me to sort by genre, topic, and author. I am also a big fan of keeping books in books bins. 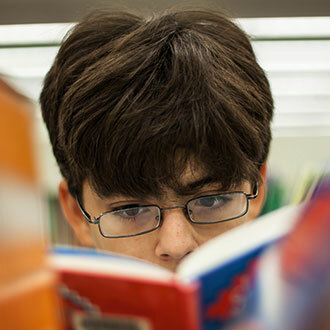 Students tend to check out books by looking at book covers. Students are not as likely to pull books by looking at the book binding only. I know when I go to the bookstore, the books that catch my eye most often are the ones whose covers are facing out. Bookstores have cashed in on this, and so will I! Book bins also keep the books organized and neat looking, an added bonus! When I first started my classroom library, I did not have any preconceived categories that I wanted to use. Instead, I sorted like books together and naturally created categories. This way I was able to combine categories when I only had a few of one genre. For example, I combined all my joke books and my poetry books into one basket. I only had a few each and they seemed to go well together. This also helped me realize when I had several books from one specific author or book series. I collected all of these books and put them in a basket devoted to author or series. Remember, this is what works for me. Have fun and consider your own collection. Letting students help decide the categories can be a great way toengage them in the library, give ownership of the library to students, andlet kids know what is available. Frank Serafini highly recommend this method in his book, The Reading Workshop: Creating Space for Readers (a great, easy read). I selected all the nonfiction books that I was struggling to organize. I divided the books up so each table has several of the nonfiction books from the library. Students looked through the books for a few minutes, then we rotated book stacks to another table. We continued doing this until all students had seen all of the books. Then I gathered the books together and laid them on the floor. Students created a great big circle around the books. Then I asked students to suggest book categories. I listed these on a white board and we decided if we could combine or separate any categories. The next day, I created book baskets with labels. I again passed out the books to different tables. Then the table decided what category the books went into and sorted the books. It worked, and I'm thinking about using the same system again with all of the new books I have bought over the summer. I just discovered the website, Library Thing (thanks to Mrs. Meacham). You can use this website to catalogue your books.I was curious and decided to check into it. It is really cool! It is a free service and is simple to use. All you do is type your title in (or author) and it searches Amazon.com or the Library of Congress. Boom! Your title and a picture pops up! The best part is you can add "tags"or notes. I have added tags that I own two copies, or this would be a great math book. I will go back and add a tag noting which book basket the book goes in. You can see the beginnings of my book catalogue. Here's how I organize the books on the shelves. On each book basket label there is a colored dot sticker and a number. Each book that belongs in the basket/ category has a matching colored dot sticker andnumber. Because I have more categories than baskets, there might be two or three baskets with blue dots, BUT they have different numbers on them. Then the baskets are then arranged in number order. There is really not too much of a method of the ordering, except that I tried to keep fiction together, separate from nonfiction. Here is a close-up of a book box. You can see the label on the box with a title and a blue sticker. This is box number 6. 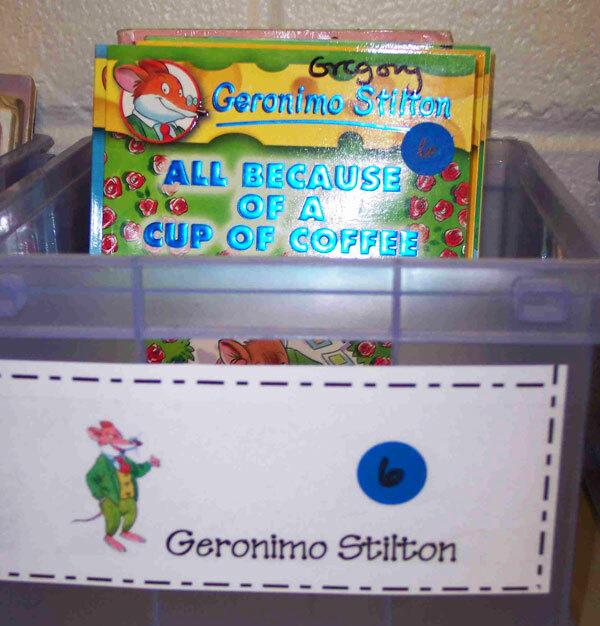 On the Geronimo Stilton book, you will see a matching sticker. 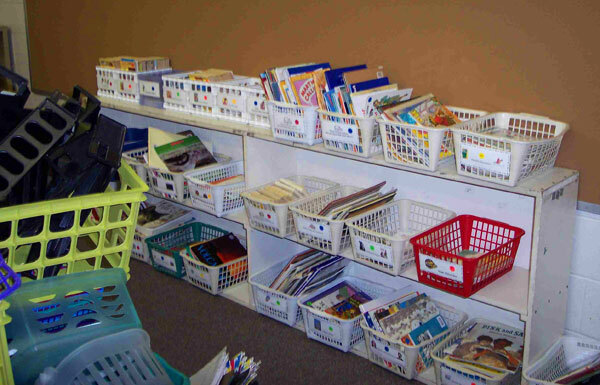 Here are the baskets on the shelves of my previous 4th grade classroom library. The gray shelf holds most of the nonfiction books divided into categories. The shelf closest to the trunk has many of the picture books. Here's a picture of the whole library area. The shelves on the right hold most of the chapter books. However, I didn't think as far ahead as I should have and I do have some nonfiction books (fairy tales, poetry and jokes, etc) mixed in as well. Since my baskets are numbered, it was too much work to change it mid-stream. Since I have moved to second grade, I decided to make my organization as easy as possible. I wanted my system to be less complicated. I wanted the younger kids to be able to maintain the organization of the library on their own, and thought the numbers and colors might be too much. So you can see in this picture the colored dots and numbers have been replaced by color-back labels with categories and clip-art. I created individual books labels using Avery address labels. Each label has a clip-art picture, the title of the book basket, and a note saying the book belongs to me. Then I created a matching label for the basket on a larger Avery shipping label. Since the titles of the baskets are all different colors, I mounted the basket label on matching construction paper, laminated it, and attached it to the bin. Here's a picture of a basket label. 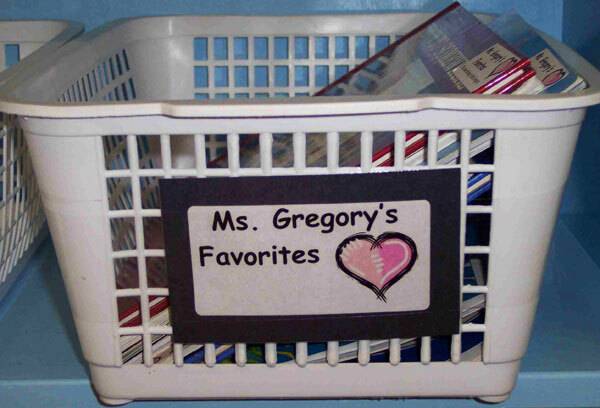 Note that the title of the basket (Ms. Gregory's Favorites) is mounted on black construction paper to match the black color of the title. Other baskets have red font, blue font and so on. You can find links to print the labels I've created on my website. The website abcteach.com also has printable book labels. When planning your library there are many things to think about. I'll treat this as an FAQ of classroom libraries, and add my comments below to each question below. Where will your library be? I like to have my library surrounding my class meeting area. I do this for several reasons. One, it capitalizes on space because I do not have room for both! Secondly, many of my mini-lessons that take place in the meeting area require students to brainstorm and the books give them places to "look" for ideas.Also, I once read somewhere that your room should not contain a library within a classroom, but a classroom within a library (I can't remember who said this, but it sounds very Lucy Calkins-ish). How much space will you have? I designate a large portion of my classroom to my library. I want children to physically see how important it is, simply by its size. Also, the more I have collected books, the more room I need! Since it is my meeting area, it needs to be large enough for all students to sit comfortably and be able to see the easel. I try to place the classroom library in an area of the room which will create a comfortable nook, while still placing the easel so that students face away from the classroom door to minimize distractions. Previously, I've used four metal shelves that the school district provided (well, they only provided one for me. But I collected the others whenever any teacher was discarding any of their shelves!) 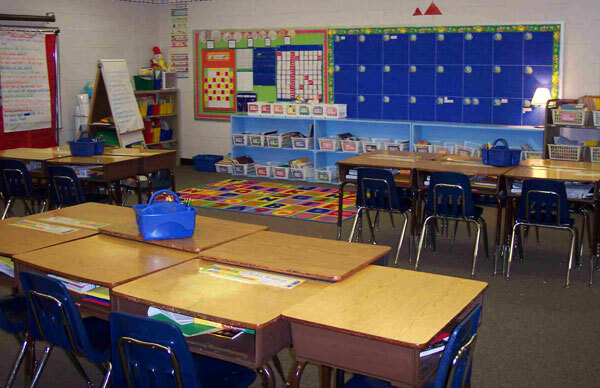 In the second-grade classroom, I wanted lower shelves to fit under the large bulletin board in my room. My co-teacher was getting rid of a shelf that was very long, and I then had my Dad (he is the best) come in and make another shelf with very similar dimensions. I painted both shelves a baby blue to make them match. Even with all this shelf space I still don't have enough room- I should have planned a little better! Some of my book bins will go in the floor and some will go on the book cart that will be next to the library. How will you sort your books? Only some of my books will be sorted by reading level. I had not done this in years past, but I recently read Growing Readers by Kathy Collins and she suggests having a part of the library leveled. I have decided to level my collection of "Step Up" readers (short books, like the Hello Readers or Scholastic Readers). I found leveling information at the subscription website Titlewave (my librarian signed me up pretty easily). I then wrote the level (in grade not Fountas and Pinnell or Accelerated Reader I wanted it to be as straightforward as possible) on the inside back corner on the bottom right. I will sort them into similar levels and then will color-code them. Books are also sorted into similar genres of series. I wanted students to be able to say, "I love to read about animals!" and then have an entire basket devoted solely to animals on a variety of different reading levels. This way, most any reader could find a book. 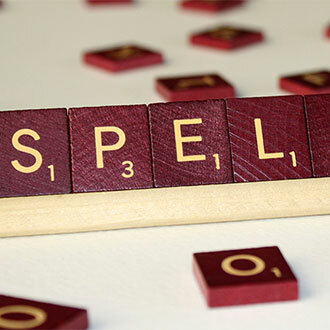 Will your books be labeled? I label my books so that students can return them. In years past I have used colored dots, colored dots with numbers, and so on. This worked pretty well with the upper grades. However, I worried that it would be too complicated for my second graders. 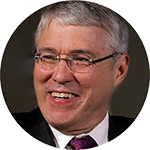 I have decided to create labelsusing Avery stickers that are address-sized. Each label has the book bin category, a picture, and the phrase, "This book belongs to Ms. Gregory." Also, I tried to color-code the font, e.g. sports-themed books get a label written in orange Comic Sans font. The label is also backed by orange construction paper. I am hoping this will help their eyes to focus a little bit more, even if it is subconscious! Students will then match the label on the book to an identical (minus the Mrs. Gregory part) label on the outside of the basket. Will you write your names on the books? I used to write my name in the top right corner of the cover in black permanent ink. This help separate the books from any books the students brought from their home collections. I also hoped if a mom found a stash under a student's bed, she would know where to return them! Now, I have my name directly on the label on the front cover. I also bought a free stamp (bought a free stamp...hmmm...?) from Vista Print. All I paid for was shipping. 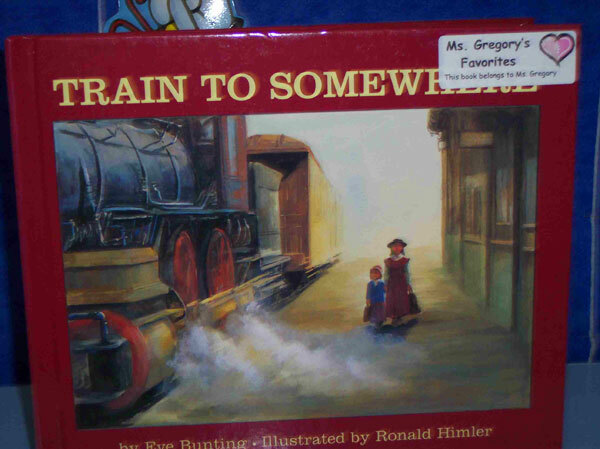 It states, "This book belongs to Mrs. Gregory. Please return if found." I stopped writing my name on the cover because recently I was trying to eBay some upper grade "decommissioned books," and I realized having my name written all over the cover decreases the value. But I want my name on the book sonewhere. So now I have the smaller stamp on the inside and the label on the cover (which I can peel off if I decide to sell the book- or replace if a kid peels the label off). How will the students know how to return the books? Will students return the books to the correct spot or will you make this a class job (like a class librarian)? I am debating this. I really want all kids to take ownership and responsibility for the classroom, but I also want kids to put the books back where they belong. I think in the beginning of the year I will have a basket for books to be returned (an "I need a home" basket) and train kids on how to return the books. Then I will gradually phase out this job when the kids have been trained. How will you teach children to treat and handle the books? In Collins' book, she explains how, in the beginning of the year, she makes a BIG deal of a book in the floor. She's very melodramatic about it, "Oh no! A book is in the floor! How could we treat something so wonderful so poorly! How can I solve this problem?" I like this idea because it is basically a great think-aloud and model of what you should do if you find a book that is out of place. Whenever I do a read-aloud, I also model how to treat a book: use a bookmark instead of dog earring pages; slip off the dust cover while you read a book to keep it from getting wrinkled and carefully replace the dust cover when you are ready to stop reading; turn pages carefully so they don't tear; and so on. I think this is really powerful, because the kids see it. What will a consequence be for mistreatment of books? In the past, the consequence of a messy library was to close it for a day or two. Believe it or not, this actually worked! I really talked it up and was pretty melodramatic about it, but kids were not able to get new books or return old ones. For D.E.A.R. (Drop Everything And Read) time, children simply had to read what they had, either an old book or the reading textbook. The kids didn't like not having choices, and the problem was solved. You could also do this on an individual basis. Simple and logical if you can't treat it right, you can't use it. How will books be stored? 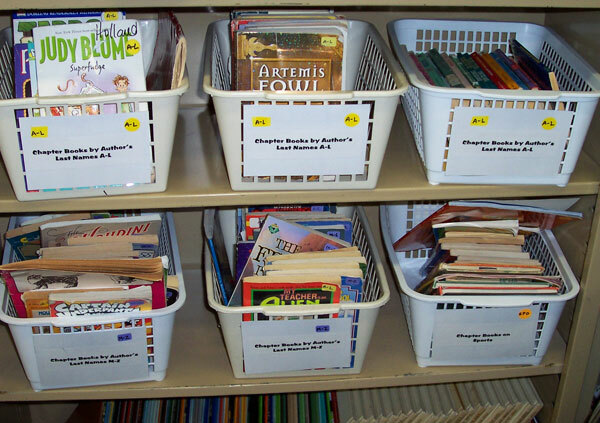 The big, white, mesh baskets I like (because it can hold several books, chapter or picture) came from the Dollar General. I also like the smaller cube size boxes, series chapter books seem to fit perfectly in them. How will students check out books? In the past I have just had students sign books out in on a check-out list. I kept the list in a binder. I trusted students to take responsibility for the books and return them. I did lose a few, but only a few. 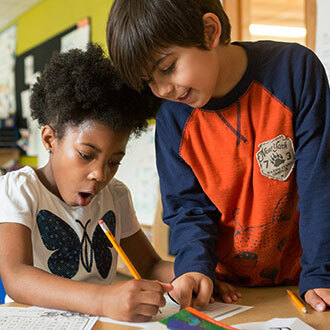 For second graders a check-out system may not be necessary, since students will only keep books in their book bins and will not take them home. What will your book checkout policy be? Strict or liberal? In-class or at-home? Duration? Collins, K. (2004). 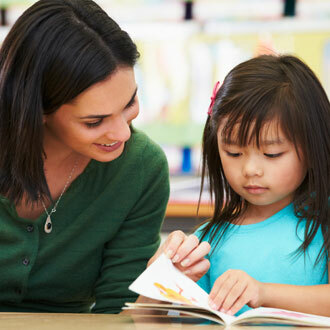 Growing Readers: Units of Study in the Primary Classroom. Stenhouse Publishers. Serafini, F. (2001). The Reading Workshop: Creating Space for Readers. Heinemann. Gregory, M. (2008.) 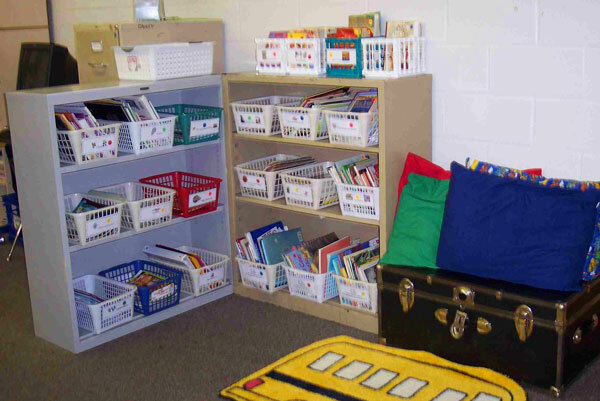 "Planning and Organizing" from Creating a Classroom Library. Retrieved December 1, 2008, from http://www.mandygregory.com/classroom_library1.htm. Thank you for your ideas to help me get started creating a library with my second graders. Thank you for including the video clip. It solidified the necessity of including the children. I had not considered this and it helped to change my thinking about how to create a classroom within the library. Great ideas! Where did you get your bins? 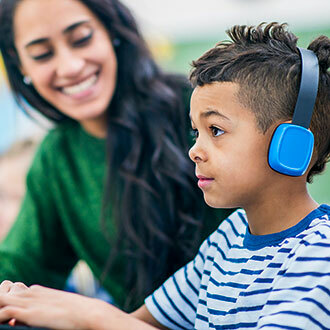 Now if only you had a school library and a teacher librarian, you could just involve students in selecting an ever changing class library from a well curated and diverse collection that could respond to their ever changing needs and interests AND cater for the wide range of reading abilities in your class! ... and you wouldn't have to worry about categorising, covering and labelling.... and you could still involve students in rich discussions about why and how books are grouped/classified into certain numbers! Very helpful. Thanks for the great ideas! Thank you so much for this resource! I'm a first year teacher and this was very helpful in planning my classroom library. Your templates for the book labels are great and easy to customize! I too have a very organized library, but I have a hard time getting the labels to stay on the containers. Your labels looked really secured. Do you have any suggestions?? I use student numbered paint sticks. Home Depot donated them. When they take a book out of the library, they place their paint stick in the spot where the book was. I was googling "how to organize classroom library" and found your article, along with the embedded links - wow! So helpful!!! I immediately joined "Library Thing" and will enter in my books. I found I can also print my list of books - what a great way for the students to peruse your collection from their desks! And I love your categories. Thank you for sharing your methods and resources! This is what my husband was looking for, who is a first year teacher teaching first grade. Thanks for the ideas. Thank you for this informative article. I especially liked the part about cataloging the books in Library thing. I will share that resource with my colleagues. Thanks for what would usually be a daunting task for me seem much less so. Thanks so much for sharing! I set up my classroom library for Grade 2 similar to this last year, and found that I need to do some tweaking this year....at the moment, most of the books are laying on the floor in stacks (tomorrow's job). I labelled my books with matching stickers - I think though the most important part is training the students to put them back where they belong. Thanks for the practical advice on how to set up my classroom library. 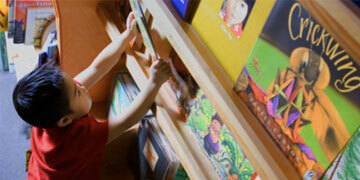 It is true that kids don't look at books when they are in shelf after shelf. Would you ever post your labels? I feel like I keep having to re-invent the wheel! Thank you so much for your tips - just what I needed! I was inspired by Donnalyn Miller, the author of The Book Whisperer, to beef up my library and get it organized. Your article was also very helpful. Thank you!